Made in America for over 120 Years! 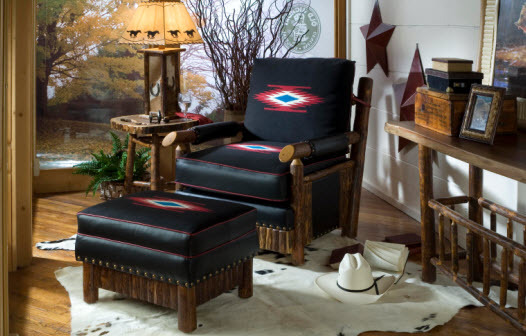 Does this iconic hickory log furniture look familiar? It should. 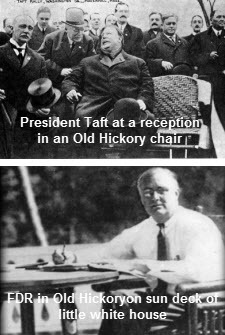 You've likely experienced it in one of our many National Park hotel lobbies or perhaps seen it in an old western scene with John Wayne. 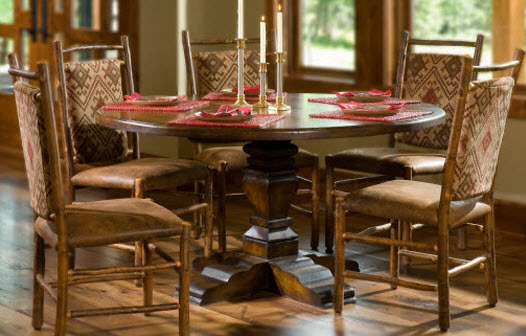 Valued by presidents and celebrities alike, the Old Hickory design represents all that is appealing about the rustic lifestyle, nature, and our American heritage. The harmonious blending of wood tones, bark textures, and fabric enhancements make this design stand alone within the rustic furniture niche. 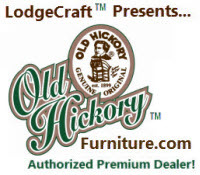 LodgeCraft Furniture of Montana is proud to represent the Old Hickory product line on the Internet's most comprehensive store, oldhickoryfurniture.com. The staff at LodgeCraft is dedicated to applying our many years of experience with the Old Hickory factory to provide our customers the legendary heirloom Old Hickory product they desire. 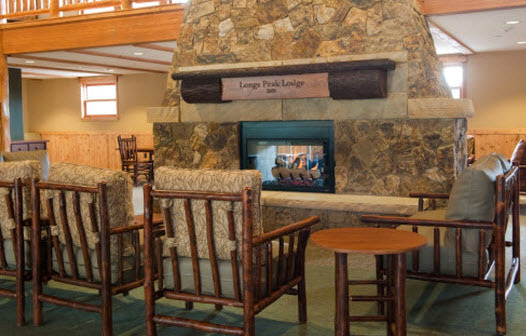 Old Hickory is THE original and constant standard of the lodge and rustic furniture lifestyle. 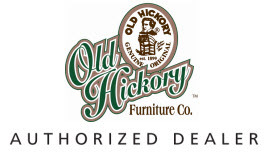 Old Hickory has produced handmade fine rustic log furniture since 1890 for the bedroom, living and dining rooms. Old-fashioned American made quality at competitive prices. Today's Old Hickory combines designs from the company's history along with more contemporary applications for home. Yet the process of hand-crafting each piece remains very much the same. Attention to detail, the careful matching of parts, the difficult assembly with mortise and tenon, and the meticulous hand weaving process, make Old Hickory products unique, comfortable, and very durable. Old Hickory rustic log furniture is the perfect way to complete your country decor. 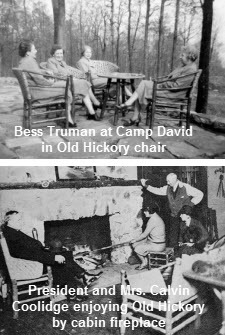 After one hundred years, old fashioned care continues at Old Hickory Company, the home of America's genuine, original log furnishings. 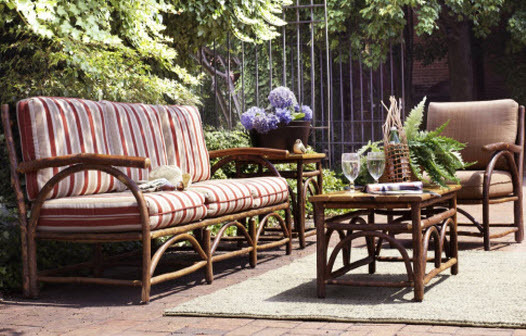 Made from hickory saplings, Old Hickory furniture is unique, comfortable, and very durable. 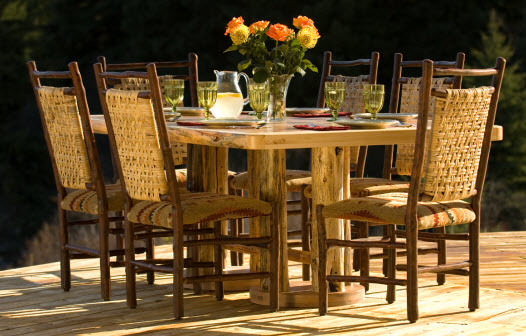 Rustic furniture made with attention to detail, the careful matching of parts, the difficult assembly with mortise and tenon, and the meticulous hand weaving process.